A.O.F.B. 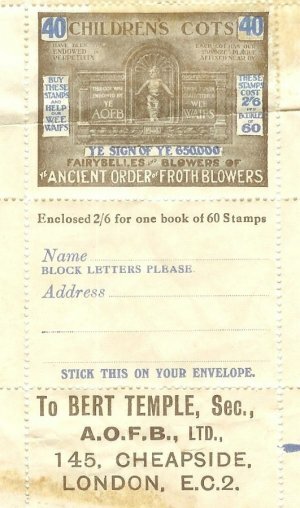 founder Bert Temple produced A.O.F.B. stamps. 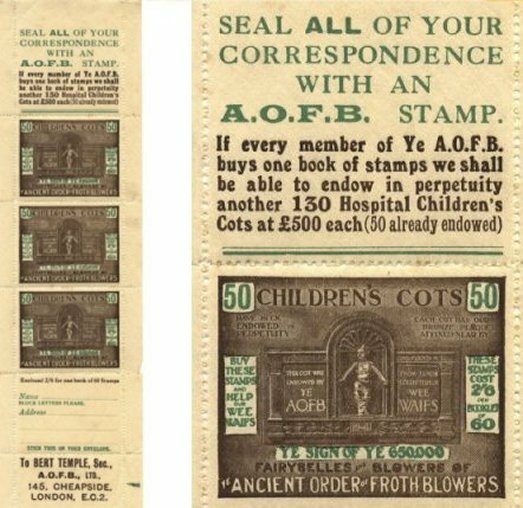 They were not legal postage stamps but were for sealing envelopes and correspondence. They were priced a 2/- 6d for a book of 60. 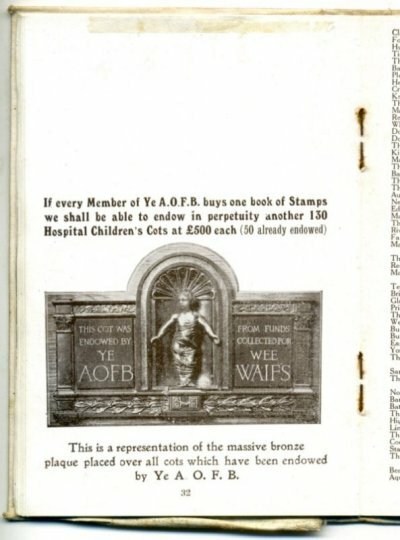 The stamps featured here are from samples sent to Vats, they were in strips of 3 advertising the hospital cots they were intended to raise funds for. They were also sent out in the membership book of ritual as some have been seen in later membership books - numbered from around 610,000. 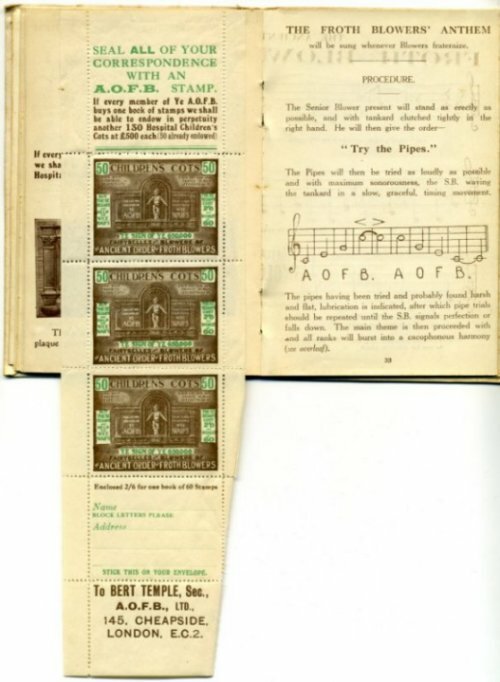 Stamps showing the endowment of 40 and 50 cots were produced. 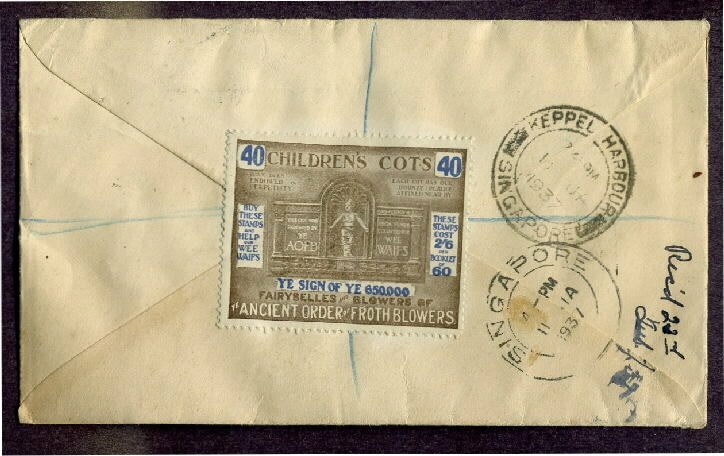 Correspondence sealed with a stamp announcing 40 Cots. Pictures courtesy of David Woodhead and Brian Kilmister respectively.